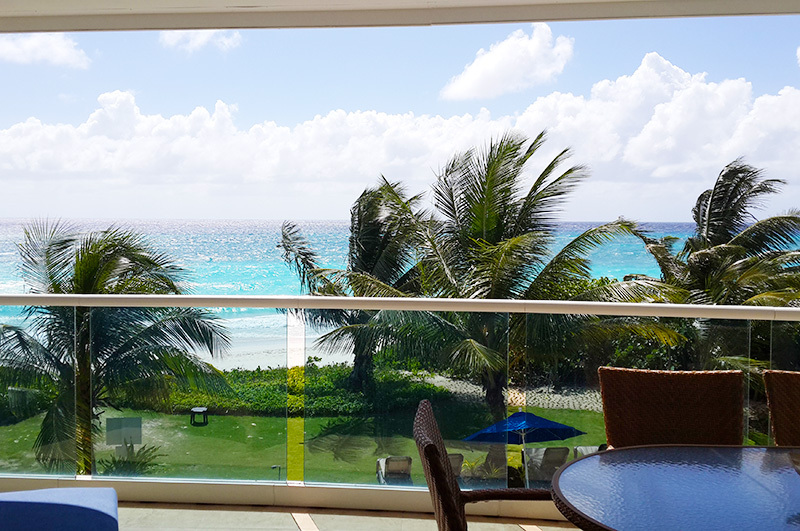 From the second we entered our Ocean One Apartment, we knew we were going to spend the next two weeks in luxury. 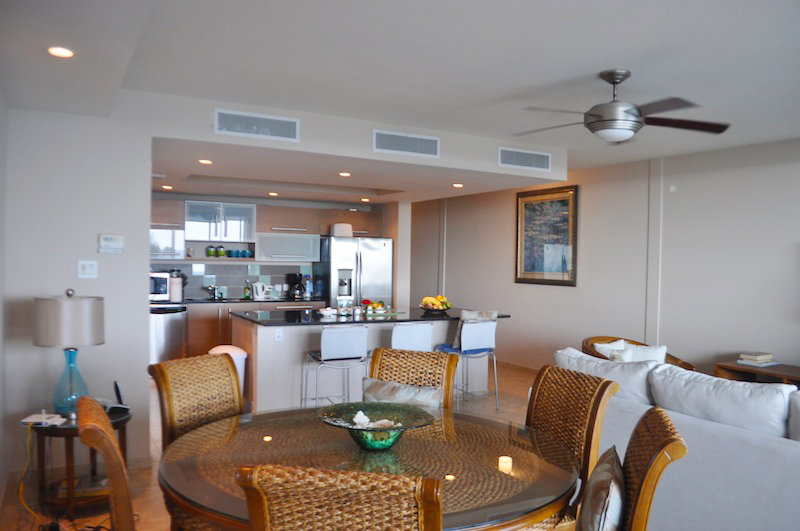 With just under 1800 square feet of exquisite floor space this three bedroom condo offers ample space for larger groups and families featuring two en-suite bathrooms with rain-style showerheads and also a full guest bathroom. 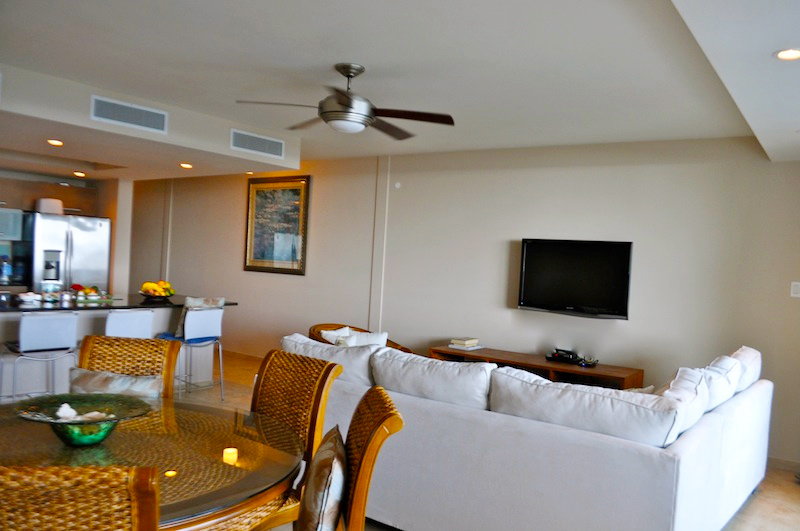 Each room has built-in closet space and all are tastefully furnished. 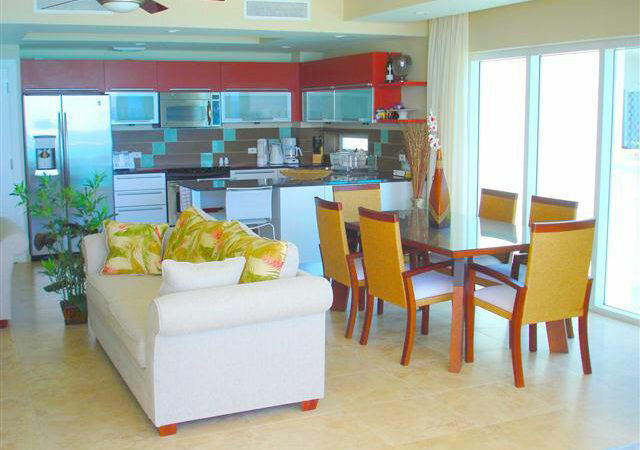 The kitchen features a large kitchen island that acts as a breakfast bar and houses the electric stove and stove top. 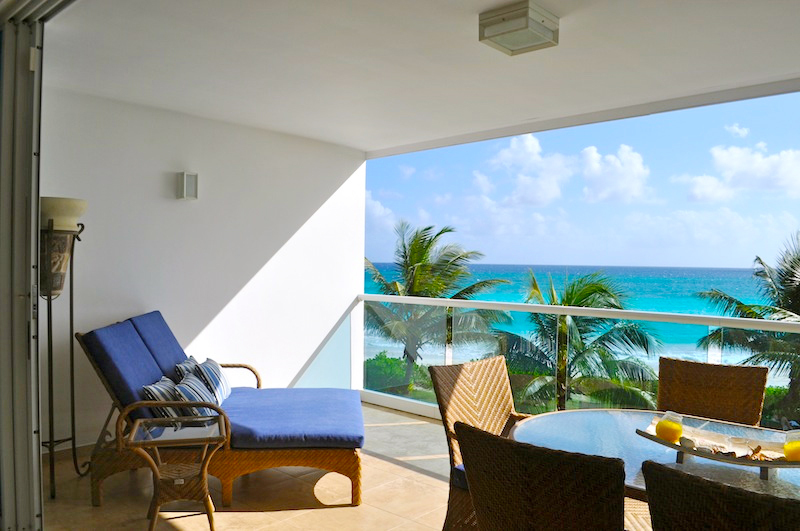 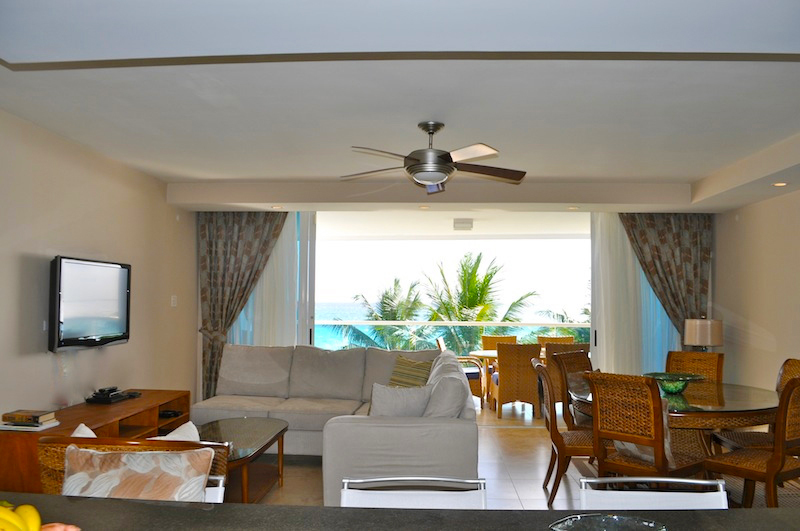 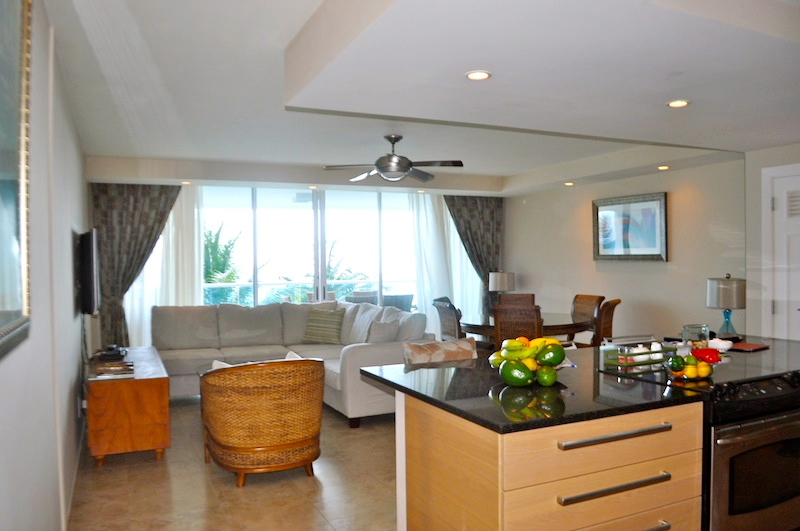 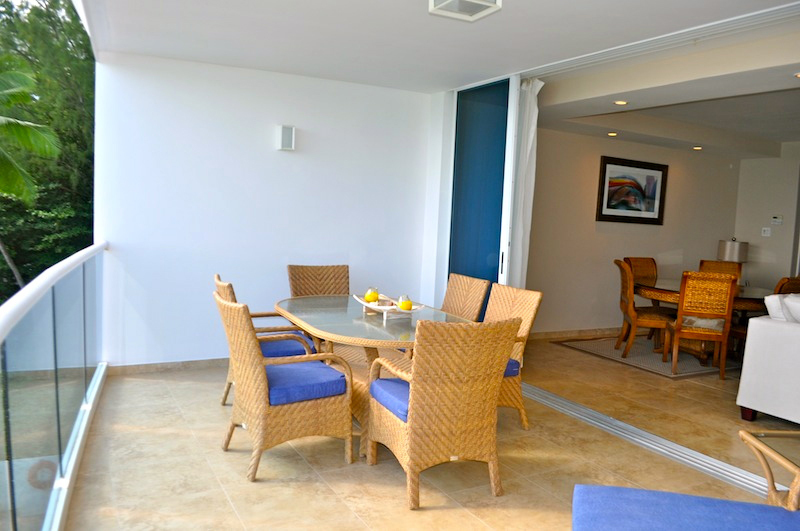 The living area is huge and features large glass doors that open out to the generous ocean view balconies.